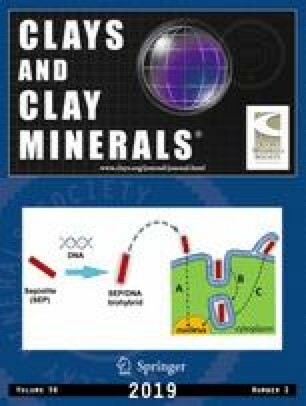 Clay minerals, such as layered double hydroxide (LDH) and montmorillonite (MMT), have attracted a great deal of attention for biological applications. Along with the rapid development of nanotechnology, public concern about the potential toxicity of nanoparticles is growing. In the present work, cytotoxicity of LDH and MMT was assessed in terms of inhibition of cell proliferation, generation of oxidative stress, and induction of inflammation response. Moreover, the biokinetics of LDH and MMT were evaluated; biokinetics provides information about in vivo absorption, distribution, and excretion kinetics. The results demonstrated that both LDH and MMT inhibited cell proliferation at relatively large concentrations and after long exposure time compared to other inorganic nanoparticles, although they generated reactive oxygen species (ROS). LDH induced pro-inflammatory cytokines in a size-dependent manner. Biokinetic study revealed that, after single-dose oral administration to mice, both LDH and MMT had extremely slow oral rates of absorption and did not accumulate in any specific organ. All the results suggest great potential of clay minerals for biological application at safe levels. This work was supported by the National Research Foundation of Korea (NRF) grant funded by the Korea government (MSIT) (No. 2018R1A2B6001238).